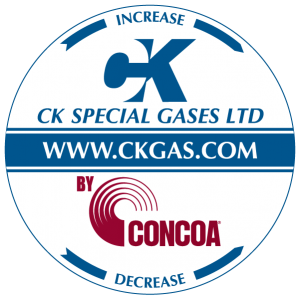 High Purity, High Flow, Toxic / Corrosive and the NEW High Quality Bottom Entry Range; CK Special Gases are the official UK distributor for the CONCOA range of Special Gas delivery equipment and Industrial Regulators. After many years of supplying CONCOA equipment we know that CONCOA offer very high quality innovative products that are extremely reliable and cost effective. As well as a large stock of CONCOA gas delivery equipment we also offer a full range of spare parts. The CONCOA “Special Gas Range” of pressure regulators offers four model ranges: 400, 300, 200 and 100. The 400 Series provides the highest quality available in terms of construction, flexibility, and integrity. With the exception of certain special application regulators, all 400 Series regulators feature a pipe away relief valve and captured vent capability (recommended for all toxic gas service), front and rear panel mount-ability, and a Helium Leak Integrity of 0.000000001 scc/sec. While 300 series regulators do not include a pipe away relief valve and are not captured vent capable, they feature Capsule seat design, a 316L stainless steel, convoluted diaphragm, and field adjustable pressure limit like the 400 Series but with a slightly lower Helium Leak Integrity. The 200 Series is a cost effective choice for high purity service (up to grade 4.5). The 100 Series offers a low cost range of regulators that employ a PTFE coated diaphragm. The CONCOA “Industrial Range” of pressure regulators is formidable. Their range covers everything from light duty to very heavy duty regulators, with all regulators having a 5 year warranty. Please let us have your specific requirements and we will be pleased to advise you of the appropriate regulator for the specific application you have. To meet the rigorous requirements of end-users in the analytical, scientific, and electronics markets, CONCOA has developed a unique regulator seat assembly that incorporates the numerous individual parts of a standard regulator seat into a single component. This design allows the Capsule® to be tested as a separate component prior to assembly into the regulator. The complete regulators are also 100% tested, giving the seat, or “heart” of the device, a double test. The result is longer life and reliable performance. 1. Lateral Flow Passages Instead of impinging directly on the diaphragm, the gas enters the low pressure chamber through a side orifice of the Capsule®. This smooth transition from high pressure to low pressure reduces the effects of gas surge on the diaphragm and minimizes regulator hum. In addition, the lateral fl ow passages induce a swirling effect which yields a completely swept internal cavity for complete purging. 2. Multiple Orifice Sizes Each regulator has a specially designed Capsule® to optimize regulator characteristics over a broad range of applications. However, there are applications requiring higher or lower flows than the standard Capsule® can offer. By substituting a Capsule® with a larger or smaller orifice, CONCOA can tailor the regulator to meet a specific requirement. 3. PTFE Seat The standard seat material is high density PTFE. PTFE is an inert material which will not react with or contaminate any high purity gas. In addition, PTFE retains its sealing properties over a wider temperature range than other seat materials. The inlet pressure rating of all CONCOA regulators with a PTFE seat is 3000 PSIG (210 BAR). With the optional PCTFE-seated Capsule®, the pressure rating increases to 4500 PSIG (310 BAR). 4. High Load Marginal Spring The purpose of the marginal spring is to close the seat independently of gas pressures. The innovative CONCOA Capsule® utilizes a high force spring that assures a gas-tight seal under all conditions. 5. 10 Micron Filter Particles trapped between the seat and orifice prevent proper seat closure, causing the regulator to fail. The Capsule® incorporates a 10 micron filter which completely surrounds the seat components to prevent the entrance of these damaging particles, virtually eliminating the cause of such seat failures. In addition, this filter is very fine, and its large surface area is resistant to clogging which allows unrestricted fl ow. The 10 micron filter is a key factor in the long life and reliable performance of all CONCOA regulators. The stainless steel 10 micron mesh Capsule® is patented CONCOA technology.